Question about Dropbox vs Google Drive. Both Dropbox and Google Drive offer storage and collaborative-working services They both have their advantages and of course their disadvantages. This blog post looks at some of these. Dropbox vs Google Drive, which would you choose? I use both Dropbox and Google Drive for different purposes. This is the beauty of online storage, there is nothing stopping you from using one over the other or from using both. This can be for working on current documents or using backups. The one single drawback that has put me off actually paying for Dropbox is the way they allocate their storage quota. What do I mean by that? Say you are using 1.5 Gigabytes (GB) of space on the free tariff but a friend needs to share a folder with you. Great, Sharing is easy with Dropbox. You set it up and where you had half a gigabyte spare before, now you suddenly have no space. Your friend’s folder is 0.5 GB. What happened? You were only using 1.5 GB last time you checked. Shared information counts towards your space no matter who shared the folder. Just for helping your friend you will now have to upgrade your subscription or remove some of your own stuff. This is why I call this a major drawback. If I pay for storage, then I want to be able to use that storage. Contrast this to Google Drive. If someone shared a huge folder with you, it really doesn’t matter. That folder counts towards their quota, not yours. Share away my friends, I can take all your files! I probably wouldn’t want to but I could. A good trick with your Google account to get more space is to create your documents using Google Services. If you have hundreds of files created in Docs, Sheets or Slides for example. They will not count towards your storage limits. Google Drive 15GB (This is shared with all the different Google Services in your one account). You can collaborate using both services but Google Drive, in my opinion, has the edge in this regard. They are both great at synchronizing files across devices and are available on your mobile device. Google Drive and Dropbox are not the only games in town, don’t forget that Microsoft’s OneDrive is also good. Question about a home library. What is the best way to organize books if I don’t have a bookshelf? If there is no shelf space available in your home librasry then sometimes the only way books can be stored is in a box hidden in a cupboard, the garage or even the attic. The question then is how do you find a book once is it is stowed away? 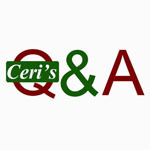 Fear not Ceri Clark, former Librarian has the answer. I used to be the library manager of the Audit Commission which had offices throughout England. There were some books in the office where I worked but there had to be about twenty at the most, the rest were held elsewhere. There was no storage space available at the offices so a former librarian had negotiated a contract to store the books in temperature controlled storage in some mines in Bath. We used the library catalogue in conjunction with some spreadsheets to keep track of the books. Whenever someone wanted a book we were emailed a request by the library catalogue and then we told the people at Restore which box the books were in. How does this help me store my books in my home library? I’m glad you asked. The same principles that ran the Audit Commission library can be used for your home library but on a much smaller scale. Say you have 3 boxes filled with fiction and non-fiction books, you can use Calibre (free software downloadable from the internet) to catalogue your books. Cataloguing your books is as simple as typing in the barcode into the software and it finding the book information on Amazon or some other database. All you would then need to do is label the boxes something as simple as Box 1, box 2 etc or something more detailed like Non-fiction books. Remember to write the Box number in the notes section in Calibre and voilà, when you search for the book on Calibre, it will tell you which box the book is currently stored in. If you have more than one storage space you can add this information too. For example Box 2, Attic or Box 3, Garage. Another advantage of using Calibre over say a spreadsheet is that there is a cover flow so you can see at a glance whether the book is the right one. You can also search by tags which will put all the similar books together on one ‘shelf’ so if you are researching a subject and you have a number of books in it you can easily see what you need quickly as if you were browsing a real shelf in your hallway. I have used Google’s Gmail for my main email for years. I have also used Hotmail, Yahoo, Outlook and various smaller email addresses like [email protected]. That email address doesn’t exist anymore and I’m still waiting to be that millionaire! It’s FREE – No getting your credit card out. Easy to use – You can get started straight away. Nothing to install – Get access from anywhere you have an internet connection. Clean interface – Go to what you need to do quicker. Over 15 gigabytes of space (enough for a lifetime of email, although it is/can be shared between other Google services) – Lots of space. Advanced Filters – Automate sorting your emails. Spell Checking – Reduce the risk of sending out embarrassing mistakes. Address Book (Contacts) – Start typing an email address for Google to autofill the contact using your Address Book details. Mobile access (for your iPhone or Android mobile phone, although any phone capable of using a browser can use it) – Get your emails on the move! Great spam protection – Save time from going through unwanted emails. Your username and password for Gmail works for all the other free Google services like Search, YouTube, Chrome and Google+ etc. – Who wants to remember several passwords when one will do? I opened a Yahoo email address as part of writing my book to see if importing emails had changed and I gained spam emails within the Yahoo account in about ten minutes of opening the account. I hadn’t even had a chance to send any emails yet! I rarely, if ever, get spam in my Gmail inbox. 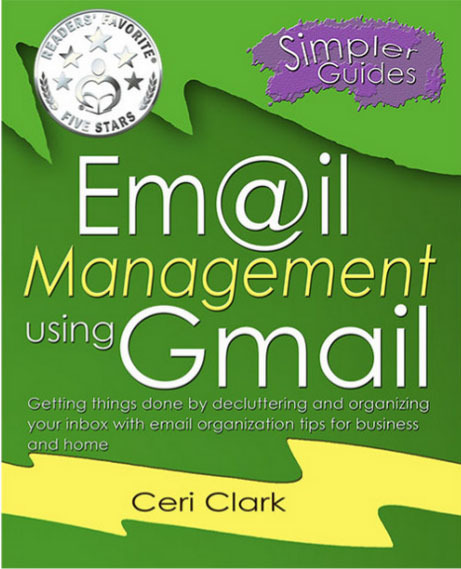 If you would like some tips and tricks for getting the most out of Gmail, please check out my book on Amazon. Where the Amazon Kindle Match is available, the Kindle ebook is free when you purchase a paperback. 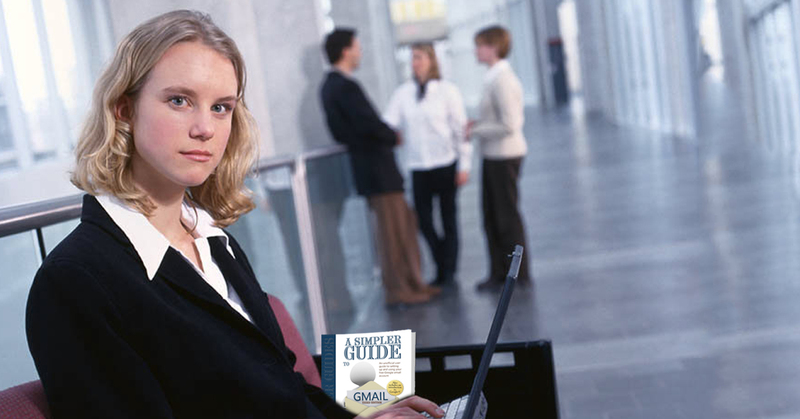 This is the complete illustrated guide to setting and using Gmail. Packed full of tips and information. It is not so long ago that I don’t remember what it was like as a student. Ahhh the life, drinking to the early hours while philosophizing about life, the universe and everything. Rocking up to the occasional lecture or watching daytime TV with a tin of baked beans in one hand and a spoon in the other. Oh wait, that wasn’t me, I was the goody-two-shoes who turned up at EVERY lecture, did her homework, went to the library and looked jealously on at the students nursing hangovers in the student bar who could get away with going in one day of the week! This article is for the students who want to get the most out of their degrees by organizing how they keep track of their lecturer’s notes, articles they research from the library and ebooks and books that they need for work and leisure. How can the free Calibre software help students? If you are a student you know the problem, you are given or can download your lecturer’s notes but wait, they are in icky PDF file format or even as a Microsoft Word file. In the old days you would have had to print them out, read them on your computer or panned from left to write on your ereader (if it could take it). Well no more. Calibre will convert the ebook to almost any format you could desire. Have a Kindle Paperwhite, fire or app? Maybe you have a Nook or some other device that will only take ePUBs like Kobo? Calibre can convert from PDF to Mobi or PDF to ePUB easily. There maybe some formatting issues but the document will be a lot easier to read and will take up a lot less space in your book bag than a file full of notes! Most university/college libraries will have access to databases where you can download articles for free to help with your work. These can be from EBSCO or Proquest but they will usually be in the PDF format. Again Calibre will convert PDF to MOBI or ePUB at a click of a button. Another way Calibre can help is in finding your notes, articles and books that you have found on your course. If you catalog (similar to how a librarian does but maybe not as thoroughly!) your ebooks, books, notes and articles then you will be able to browse by category. This could be by module or subject (you would put these in the tags section of a book’s information) or search the database to instantly find to what you already have access. If the items are paper books or maybe DVDs then you will have put where you can find them or where you put them. If what you are looking for is an ebook, it is possible to read directly from Calibre or send them to your device. Maybe your course requires you to keep abreast of current affairs? Why not use Calibre to download news from the top free news sites for your academic area and convert them to an ebook and get them sent directly to your Kindle? I love Calibre. I love it so much I wrote a book on it. As an author, what’s not to like? It’s free. I should probably say that again. It’s free (very important for the cash strapped author). It can do so much like organizing your books, it is an ebook converter and you can read books on it and did I mention it’s free? Calibre is a powerful tool in an author’s arsenal. It can save you time in more than one way. If you have found this article you are probably an author or know someone who is and you want to know how the software can help you so I’m going to break this down into two sections, ebook organization and converting ebooks. Say you have 50 ebooks and 50 paperbacks that you simply must have to research your book. Your house is also rammed to the rafters and you only have a small corridor leading through your house where you navigate piles of books threatening to topple like several mini versions of the Leaning Tower of Pisa. 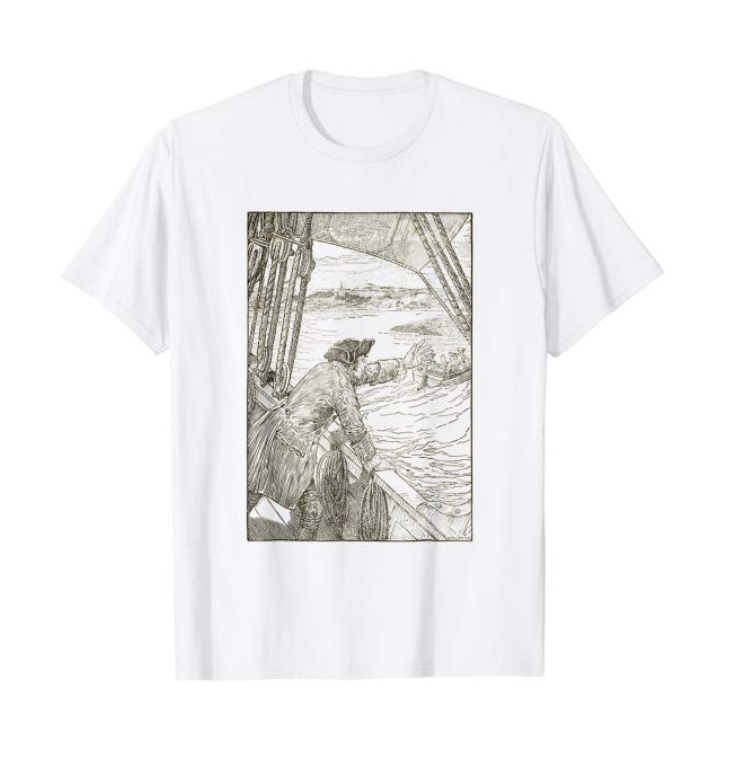 You could find the books you need but it would take a few days, a hat with a torch on it, some provisions and possibly a bag of breadcrumbs so you can find your way out again. No fear, this is all in the past. While you are researching your book, catalog every book you need into Calibre. This goes for ebooks and paperbacks you own but it could also include books you don’t own but you find. For example, if you find an article and you can’t download it why not catalog it and put the link to it in the description. If you saw the book in a second-hand bookshop, type in the description where you saw it so you don’t forget. Voila, when you are searching for it in Calibre you only have to look in the description for the address or click in the description to take you to the article you need on the web. 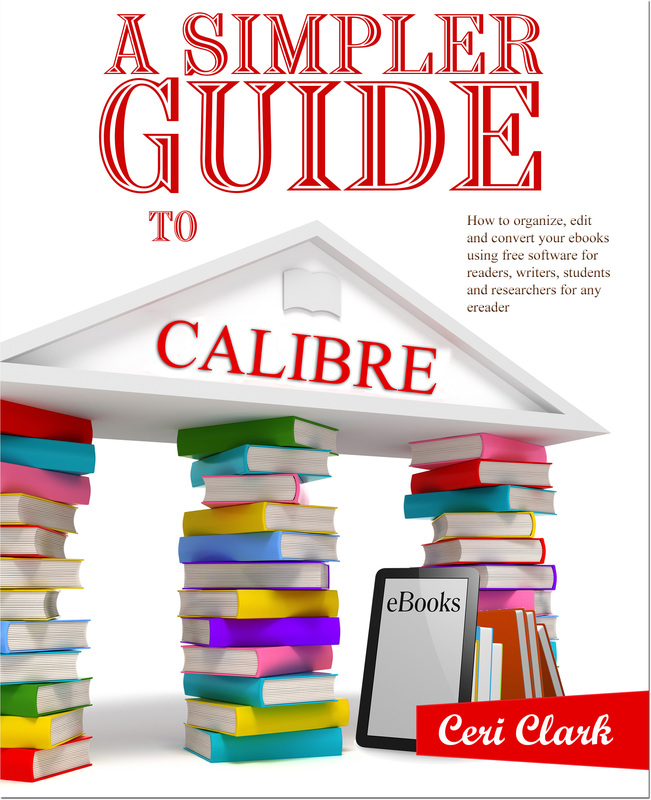 Calibre is easy to use but if you run into trouble then please check out my ebook or paperback A Simpler Guide to Calibre: How to organize, edit and convert your eBooks using free software for readers, writers, students and researchers for any eReader. I use Calibre to convert ebooks for research and to convert my ebooks for upload to Kindle Direct Publishing (KDP). The two ways I convert for research are to change the articles I find to an easy-read format (converting from PDF to MOBI means that I can alter the text size for more comfortable reading) and I also download several blogs using the news gathering feature and then send them to my Kindle as ebooks in my nattily titled Writerly News edition. The first is more specific for research for books I am writing at a given moment and the second more for keeping me in touch with the author/publishing world. The other reason I use the ebook converter side to Calibre is for uploading to KDP. I have tried uploading a Word file directly but KDP mangles the formatting. 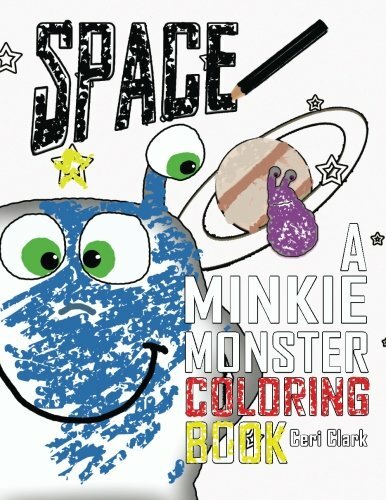 The resulting Kindle ebook ignores the styles I painstakingly created and sticks its nose up at other little formatting tricks I spend hours over to give the book a more premium feel. So what do I do? I add the docx file to Calibre. I convert the docx to MOBI and then I export on to my hard drive for uploading to KDP. Simple. In countries where Kindle Match is available the Kindle eBook is free with the purchase of the paperback. Please see Amazon terms and conditions for their Kindle Match program. Oh procrastination, how I hate thou. Nah, I don’t really, How could I, we’re the best of chums. We meet every day before breakfast, after breakfast, have an early morning meeting before agreeing to meet up for the afternoon. Of course I wouldn’t want to offend my friend so we regularly meet up in the evenings as well. My latest flirt with procrastination was rebuilding this site. I have a confession, I lurve messing with websites, the frustration of plugins not working, the tweaking of the themes – manna from heaven. That was until a couple of days ago when my hosting was threatened. It was taking about five minutes to make one small change until it finally stopped. Apparently a couple of my old sites, battylibrarian.co.uk and alldestiny.com had been compromised and there were lots of comments on there as well as lots of members. I had a lot of traffic, I mean a LOT. This wasn’t useful traffic. These people were never going to buy any of my books or enjoy any of my articles. Nope, they want to sell their gubbins and drive traffic to their sites. They didn’t share anything useful it was simply to increase the Google rankings on their sites. I don’t mind when people have reciprocal links, that’s just nice but all my websites were nearly shut down! What have I learned? Not to allow comments automatically and not to have a directory. I will be very careful how I set up user access from now on but hey ho, it’s all a learning curve! I have been a user of Apple products for years. I bought, I think it was, a G4 laptop years ago when I was a student studying for my Masters. It was brilliant. I had no problems with it and I loved it. It got a bit old so with a teary farewell I sold it on eBay. The battery lasted FOREVER and in those days I didn’t mind squinting closely at the screen to see what I needed to do. These days I want my technology to bend to me not it. Afterall I pay for my gadgets they don’t pay for me! I bought an Apple IMac with a 27″ screen and absolutely loved it when I bought it. I really bought it for the screen and when it works it is amazing. Unfortunately it fails on m e at the most frustrating times. I was busy putting together my Gmail book, happily creating screenshots and pasting it into my Word doc when, BAM, the screen goes black. WTF?!?!? I scream for Nick, my in-house tech guy also known as The Husband. He remote desktops into the iMac and he is able to save it. Thank God! This happens whenever I use the computer for more than three hours – which is when I write or make book covers – most of my leisure time! We have an appointment at the Genius bar – I hope they can’t fix it – it IS still covered by the Care thingy. I tried using solely the iMac for a while but it drove me crazy and I kept getting headaches. The problem is I have some graphics software only available on the Mac. I cannot upgrade to LION because if I do then I can’t use this software which is the only reason I use the Mac operating system. Today it kept force-closing on me and I couldn’t get it to work. Why oh why can’t I use my iMac without encountering problems! I’m clumsy, I’ll admit it. Two days ago I managed to drop my Samsung Galaxy SII FOUR times in the same day. I forgot to put my cover on after a recent software upgrade so it slid out of my pocket and bounced on the ground while I got out of the car. I’m just lucky Nick didn’t drive over it on the way to HIS work! The phone has scratches on the corners but with the Bumper on you can’t see them and it is in full working order. Why do I say I can’t get an iPhone? Take a look at this Youtube video an you’ll understand why a clumsy person like me can’t use one! I simply can’t see them on the iPhone, I’ve tried but no good. I have discovered BigFont on Android however and my quality of life has improved dramatically.